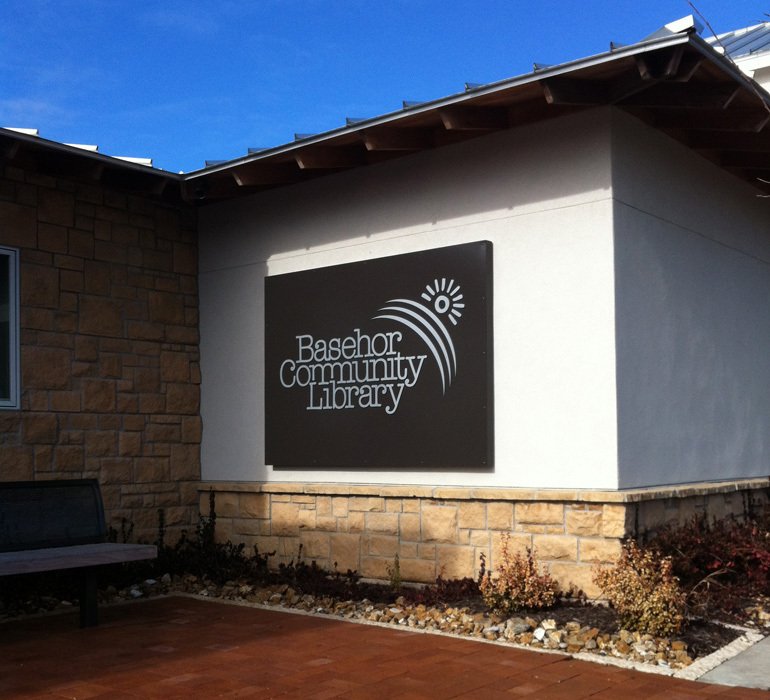 New interior and exterior signs are up and showing strong at Basehor Community Library! 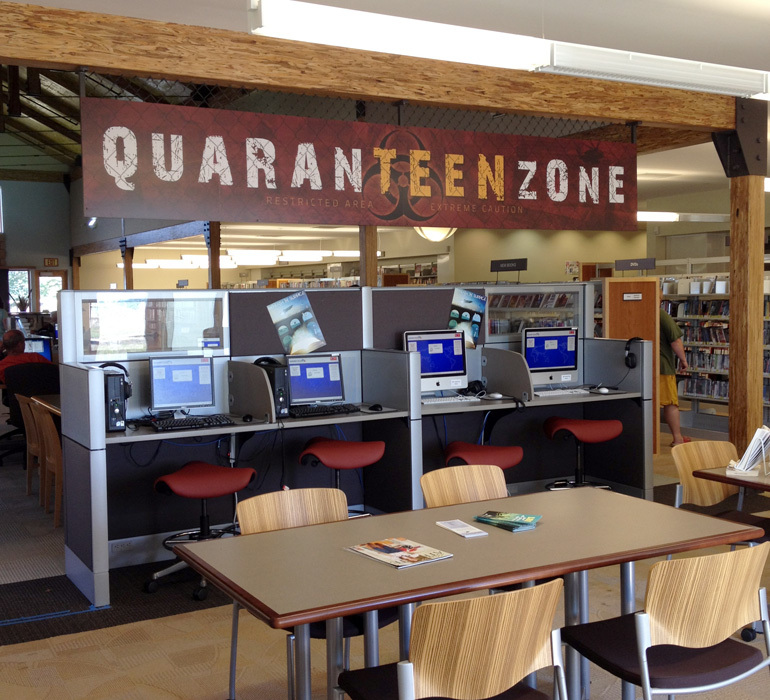 The library approached us and asked for our help with this “QUARANTEEN ZONE” sign inspired by the Walking Dead. 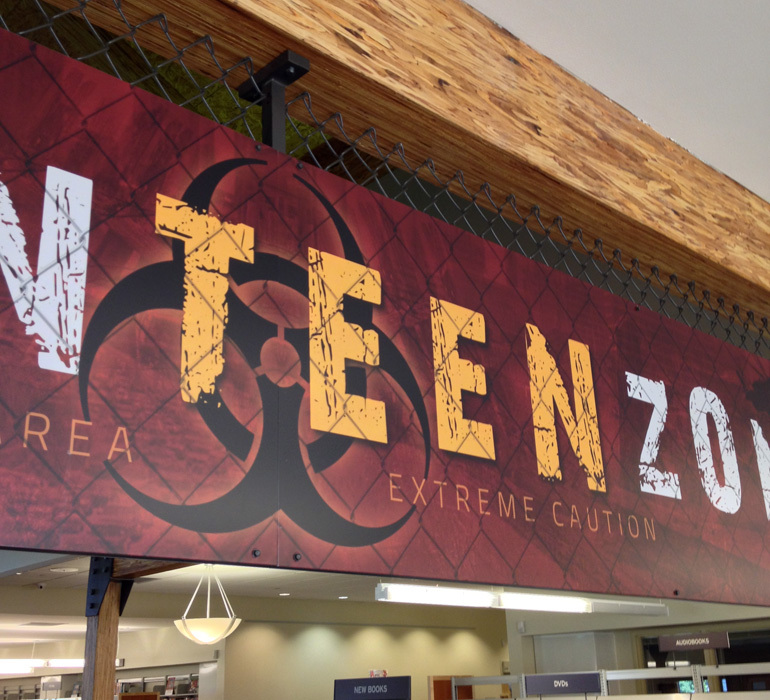 The teens LOVED the look and especially the chain link fence! Young Sign Co. knocked this one out of the park!